Last Meeting: FFA Cup, Round 7: Edgeworth 1 Maitland 0 at LMRFF. After a week off, Edgeworth returns to action against a Maitland side who know that anything less than a victory could put their finals hopes in jeopardy. Last weekend the Magpies were cruising to victory at Darling Street, leading 2-0 with less than 12 minutes on the clock. They were just about to jump Olympic and enter pole position in the race for the top four. But, within three minutes the sides were level again. Scott Smith and Sean Pratt producing stunning strikes to silence the visitors and ensure the race will be as tight as ever to make the finals. While it was a draw which would have felt like a defeat for Maitland; they are playing the best football they have all season with just one loss in their last five matches since the disappointing defeat at Adamstown. Edgeworth have been as consistent as ever recently having lost one of their last 14 matches in all competitions. A break after a difficult Westfield FFA Cup weekend, followed by a trip to Adamstown came at the perfect time for the Eagles which allowed them to recharge their batteries. It will be the last weekend off that the Eagles have before a frenetic final two months of the season where they will have PlayStation®4 NPL NNSW and Westfield FFA Cup commitments. While the Magpies haven’t beaten Edgeworth since at least 1997, the last five matches between the sides have been almightily close. The Eagles have won three of those five by only a goal, and the other two have been drawn. The defending champions have lost just twice all season and deserve to be favourites in this one. But, a Magpies side with the likes of Matt Comerford, Ryan Clarke and Matt Thompson to name a few will push the visitors to the limit. Key: Maitland have conceded their last three goals in the final 15 minutes of matches. Is fitness an issue? Last Meeting: Round 5, 2017: Hamilton 4 Jets Youth 1 at Darling Street Oval. After pulling three points out of the fire last weekend against Maitland, Hamilton knows that a win and nothing less is the requirement in what shapes as a fascinating finals race. Olympic started strongly against Maitland, with Rhys Cooper the stand out as he cut swathes through the Magpies defence. However, when a couple of chances went begging for Hamilton, Maitland made them pay and for an hour it seemed like the visitors would stroll to victory. But, as Olympic have shown on countless occasions this season, they never say die. Scott Smith and Sean Pratt salvaged a point and almost three for their side. This weekend provides a different challenge and a danger game for Hamilton, against a Jets Youth outfit who have leaked goals with monotonous regularity of late. In their last two matches the Jets have conceded ten goals and with the likes of Pierce Clark and Cameron Joice missing for the Youth side on the weekend, it was always going to be a tough ask. The final 15 minutes seems to be the key in this match. Hamilton have scored a league-high eight goals in the last 15 minutes of matches this season, while the Jets Youth have conceded a league-high 13 in the same period. Olympic have won eight of the last ten between the sides and based on their form, they will be red hot favourites to make it nine of their last 11. In intriguing news, Newcastle Jets CEO Lawrie McKinna will take over the coaching reigns at the Jets Youth for the foreseeable future. Labinot Haliti will be his assistant. In a boost for Hamilton, former Jets Youth skipper Reece Papas has joined the club for the remainder of the season. Key: Under new coach Lawrie McKinna, can the Jets Youth turn around their recent form? Last Meeting: Round 5, 2017: Valentine 2 Adamstown 0 at Cahill Oval. 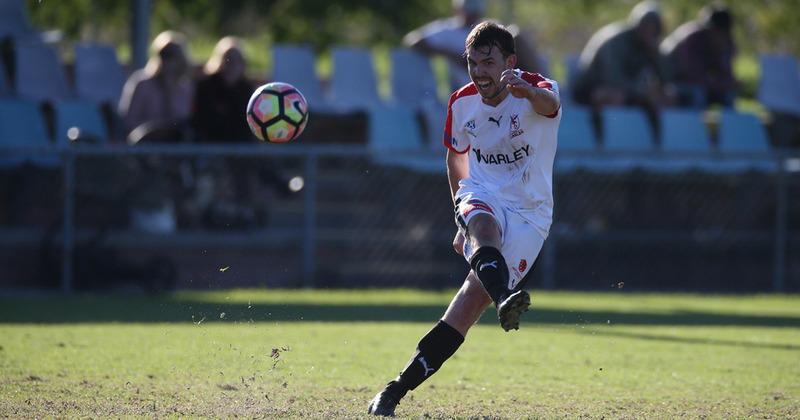 Valentine’s third victory in a row over Lambton has put themselves within touching distance of a first finals appearance in Northern NSW’s top flight since 2010 and a win this weekend could all but seal a spot for the Phoenix. A trip away from Cahill Oval for the first time in the PS4 NPL NNSW since the second weekend in May is sure to please head coach Darren Sills with the lush pastures of Adamstown Oval a stark contrast to the Phoenix’s home ground. After two straight defeats to Broadmeadow, including a disappointing 3-1 defeat in round 14 Valentine looked to be out of sorts, but they proved that thought wrong on the weekend with a stunning fightback to claim a 2-1 victory over Lambton. Adamstown also returned to form on the weekend against Weston after three straight defeats and claimed just their second clean sheet of the season in the win. Nick Webb’s side were well-structured at the back and seem to have turned over a new leaf. Following up last weekend’s result with another good performance this weekend is key for the Rosebuds as they look to escape the cellar. Since Valentine’s promotion at the end of 2015, the sides have met on three occasions with Adamstown winning twice last season 2-0 and Valentine winning 2-0 in round five earlier this year. Valentine will head into the match as favourites, but Adamstown seemed to have turned a corner and should give the Phoenix a real test. Key: Adamstown were rock solid at the back last weekend. They’ll need put in a similar performance against the third best attacking side in the competition. Last Meeting: Round 5, 2017: Lake Macquarie 0 Lambton 4 at Macquarie Field. Both Lambton and Lake Macquarie are coming off disappointing results in round 15 and will aim to bounce back in style. After leading 1-0 at half-time against the Phoenix on Saturday, Lambton conceded two unanswered goals in the second half to fall 2-1 to the Phoenix. The Jaffas third loss in as many matches against their bogey side. But, after defeats this season the Jaffas have responded in fine fashion. In all competitions, Lambton has lost just four matches. The three matches played after defeats thus far have resulted in 4-0, 3-2 and 5-0 victories. Once again, Lakes have the unenviable task of playing the Jaffas after they have had a defeat so they will have their work cut out for them on Saturday. After a strong start to the season where the Roosters lost just one of their first six matches, they have now won just one of their last seven to fall from the top of the table to seventh. Lake Macquarie’s biggest concern comes in the front third, scoring just four times in their last five outings and they have been kept scoreless in their last two matches. The goals have also dried up for striker Sam Walker who scored seven times in the Roosters first eight matches. Since then he has managed just one goal in his last six outings. With the Roosters in a bit of a slump, top-of-the-table Lambton will be favourites to make it four wins from four following defeats in 2017. Key: The bounce-back effect. Can Lambton continue their strong record after suffering defeat? Last Meeting: Round 5, 2017: Charlestown 1 Broadmeadow 0 at Lisle Carr Oval. Seemingly out of contention for the finals series a month ago, when they were humbled 3-0 by Edgeworth on their home patch, Broadmeadow Magic have roared back to life since and are now within touching distance of the top four. Since the Edgeworth defeat, Broadmeadow have won five matches straight in all competitions and have racked up the goals. Magic have now scored 17 goals in their last five matches, which is in stark contrast to the mere 14 goals they scored in their first 11 PS4 NPL NNSW matches this season. The signing of former Jets and Glory midfielder Mitch Oxborrow has certainly helped raise the confidence of the squad, with the front third of Dino Fajkovic, James Virgili and Kale Bradbury all firing in recent weeks. Charlestown returned to form in style on Saturday as they put four past a disappointing Jets Youth outfit. Striker Rene Ferguson has gone from strength to strength this season and is now equal first in the golden boot standings after scoring twice on the weekend. With the news, this week that Scott Smith and Kane Goodchild will return to the Blues in 2018, his combination with the experienced front men is sure to be a mouth-watering prospect from the Charlestown faithful. Back to the present, and Joel Steward scored his first goal in the top grade for the club against the Jets which will provide a huge boost to his confidence going into the weekend. Charlestown won a tight contest earlier in the year, with Josh Maguire scoring a stunning free-kick after Broadmeadow keeper Niko Giantsopoulos was sent off. If the Blues bring their best on Sunday it will provide a tough test for Magic who are the favourites to take all three points in this contest. Key: Magic have won just two of six home games this season. Can they turn it around against the Blues?